Stories of Harlem dance with soul, jazz, and West African rhythms on Somi's Petite Afrique. "Look what they’ve done to Harlem." Those words -- annoyed, exhausted -- open "The Gentry", a sizzling duet with Aloe Blacc from Somi’s newest album, Petite Afrique. Gentrification in New York is a central theme of the album, and "The Gentry" stands as Somi’s most passionate critique of it. Jazz piano rushes through the piece as Blacc and Somi mourn for Harlem’s displaced. "I want it black, / I want it back," they sing, in strong and simple chorus. Somi’s voice rises almost to a scream as hand drums enter the frenzy, and the song ends on a powerful beat. Around this charged track, though, a wide range of music explores the meaning of blackness in America through the eyes of Harlemers, telling stories of African immigrants and African-Americans alike. Some are third-person portraits: "The Wild One" uses woodblocks and highlife-esque guitar to tell the story of a girl who drinks tea with milk, rum, and spices; elegant strings on "Kadiatou the Beautiful" paint an orchestral tale of melancholy. Other songs are intimate first-person narratives -- aching ballad "They’re Like Ghosts" explores nostalgia and lovers of days gone by, while love reigns in quiet triumph on the soulful "Holy Room". Opening the album after a brief collage of twinkling guitar and ambient found sound is "Alien", which falls into both categories as Somi looks out at New York through immigrant eyes. Her voice throughout the track carries an unfailing pathos, tenderness and sorrow adding depth to the humanity inherent in the subject. The weary narrator bears the weight of a world of change, of having to leave behind home and family to drive a taxi in a foreign land. It’s one moving and relevant story that leads into another when Somi picks up the pace on "Black Enough", a brassy, red-hot look at relations between African and African American groups, decrying the judgments and cultural tensions that sometimes crop up between different groups. The stories and points of view keep flowing forth, and end on two of the album’s softest tracks. "Like Dakar", a starlit ode to Harlem as it once was, compares the neighborhood to Dakar and Abidjan. It’s an anthem of saudade, that exquisitely painful longing for the unattainable, for that which once was and will only ever be again in memory. At the very end, the downtempo R&B beats of "Midnight Angels" pay a final tribute to the rich cultural diversity of Harlem and the immigrants that have made it the artistic haven that it has been for so long. 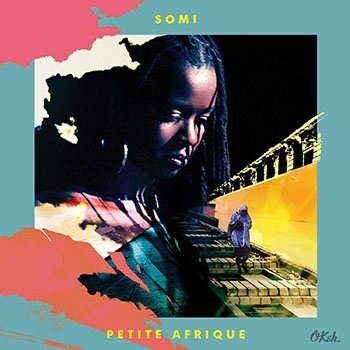 What sets Petite Afrique apart from Somi’s earlier albums is its timely subject matter. It isn’t quite a concept album; while some songs could conceivably flow together like stories, others live in separate spheres. Still, a thematic unity binds the whole album together, permeating the lyrics, as well as the music with the kind of expression jazz was built on. Here, that jazz flows freely into soul, R&B, and all kinds of West African sounds, layer upon layer of velvet. As raw as the feelings can be, Somi’s luxurious voice and the virtuosic instrumentation make this a refined album of wondrous technique and real human interest.